VA Home > First Time Home Buyers > Is it Okay to Make Multiple Purchase Offers? Is it Okay to Make Multiple Purchase Offers? Buyers who are purchasing properties less than $300,000 sometimes have trouble getting their offers accepted. Mostly because the buyers are getting beat out by the cash buyers. Is this a good reason to make multiple offers on multiple properties? It may seem like a good idea but there are so many drawbacks to making multiple purchase offers. If multiple offers are accepted then this could result in the buyer depositing multiple earnest money deposits and the sellers expecting to close each of the transactions. If the buyer refuses to move forward the buyer may have to suffer legal ramifications. It’s a small world, real estate agents communicate with each other. Real Estate agents are constantly networking with each other and if a sellers agent finds out that the buyer is making multiple offers this can result in none of your offers being accepted. The agents will advise their sellers that you are not a serious buyer. Many buyers are interested in purchasing short sales. The problem with short sales is that the real estate agents will accept multiple offers and submit all the offers to the bank. The bank will then pick and choose which offer they would like to move forward with. This can be an extremely long process. With that being said buyers can make multiple offers on short sales. Buyers do not have the same liability and responsibility as they would on a regular sale. 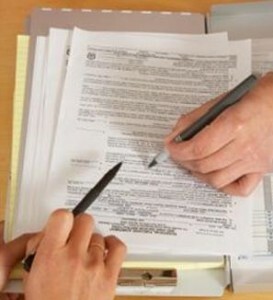 Short Sales are contingent upon the short sale lender approving the contract. For more information on this topic contact our front desk at 888-573-4496.